Guest post by @afansopinion: a 25yr old Dad of 2 boys. Enjoy writing about various football topics when I have some free time. Non biased Villa fan. In love with Andi Weimann. I’m no expert, these are just my thoughts, just a fans opinion, on the latest goings on, in the sometimes, not so beautiful game. Visit his website. It’d died long ago…. the so called ‘magic of the F.A Cup’. It probably died when one of many different corporations started using that phrase as part of their advertising campaigns. This year, more than any other, the oldest cup competition in the world has been just another product. To quote my friend@tomfahy1 from Twitter ‘The soul of the F.A cup, lies at the bottom of a bottle of Budweiser.” He’s right! I remember growing up, looking forward to the final, talking about it with my mates, playing ‘Wembley doubles’ and in your head, you really did dream of scoring the winner. I’d say kids are now more inclined to dream about a Champion’s league goal. After all, that is now the biggest cup competition. 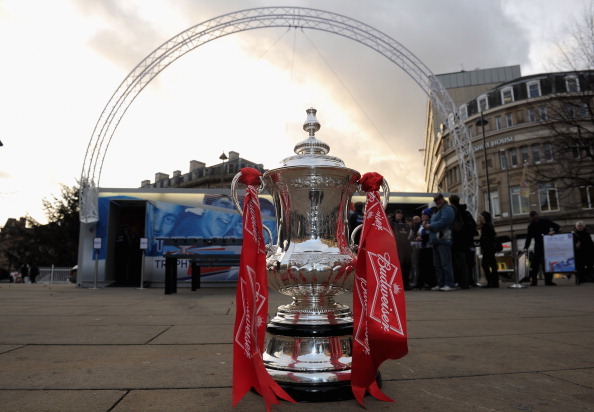 We’re kidding ourselves if we think the F.A cup is bigger. It was once, not now though. Now it’s just another product. It’s had the soul ripped out of it, only to be replaced by a brand name. The 3rd round still has that something about it. When the big names can be embarrassed by the lower league minnows. The odd non-league side getting further than anyone would expect and the replays where over paid players go back to grass roots level and get a lesson in real football. But more and more it’s becoming less interesting. The number of games I’ve seen in the last few years played at strange times. Times that just so happen to suit TV channels and when the most advertising money from sponsors is available. The final this year is the worst example of the corporate influence in football. Wigan vs Manchester City will kick off at 5.15pm. Both northern clubs, with thousands of fans, traveling down to Wembley. Trains will not be running back to Manchester by the time the game finishes. The last train from London Euston to Wigan North Western leaves at 8.30pm, while the last departure to Manchester Piccadilly is at 9pm. Once the presentation ceremony is over along with the possibility of extra time and even penalties, anyone hoping to travel back home by train, is going to have to find an alternative way. I wonder what the F.A have suggested…. Travel by coach of course. I wonder who their preferred travel partner is… ah yes, National Express. 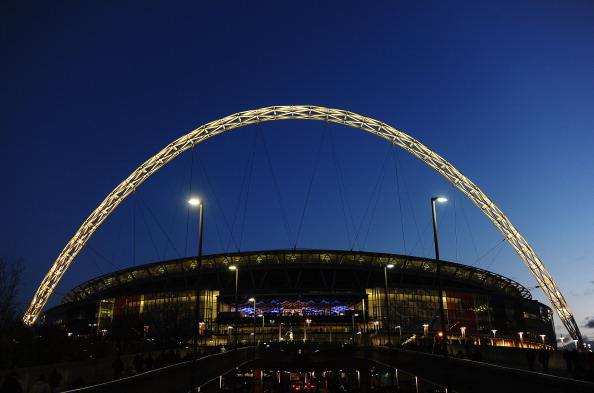 What a coincidence that they are also the official coach partner of Wembley Stadium. Funny that…..
People would watch the Cup final, regardless of the time! Although, as it’s being played on a day where there are still Premier League matches on, they won’t be able to. Another reason why the F.A cup isn’t a big deal anymore. It should be the last game of the season. The last game…. not just another game. It’s quite clear that a 5.15 kick off enables the F.A to charge a premium price for advertising. Via ITV and ESPN it will make millions. Once again, the fans are just an accessory. They are the most important ingredient. Shame that they are being discarded in favor of the many pound coins that can generated from selling the competition many of them once dreamed about their club winning. I saw someone this morning say, if it wasn’t for an advert, they would not have known today was cup final day. 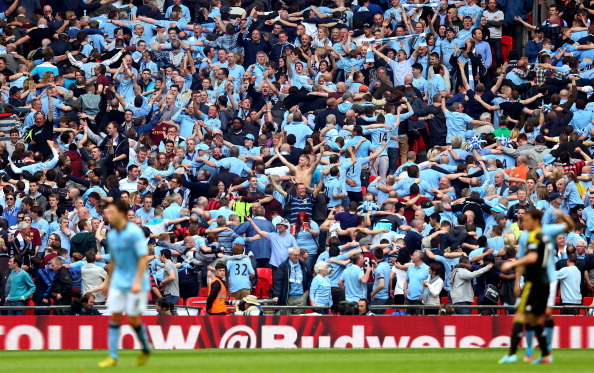 ‘Cup final day’ was a massive thing. Fair enough, this week there’s been some big news in football with Sir Alex Ferguson announcing his retirement and David Moyes almost immediately being given the job of replacing him. That aside, we should still be excited about the F.A cup. 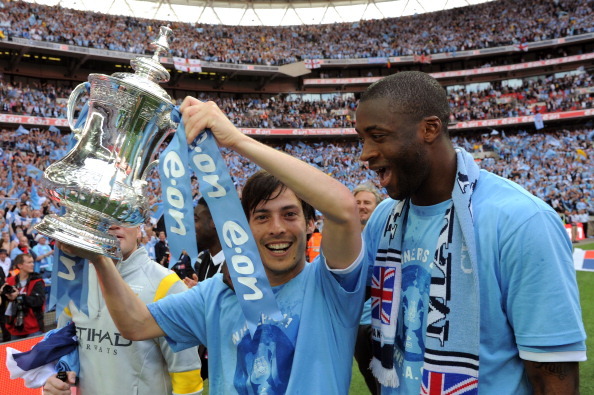 Even fans and players from South America, Eastern Europe & Asia know about the F.A cup. They know of the history and the great games of the 90’s and the Michael Owen final of 2001. Do they even know today is cup final day? Do they even care anymore? Do we care anymore? Sure, fans of Wigan and Manchester City will be bothered. But do the rest of us? Quite honestly, I’m more concerned with my team’s quest to remain in the premier league. Play the final after the season has finished and maybe people would again be interested. Many of my thoughts about the sometimes, not so beautiful game nowadays, center around what my two Son’s will see when they’re old enough to enjoy football. I don’t want to have to tell them how good it used to be or what they’ve missed out on but sometimes, I really can’t see me being able to say anything other than that. If they were old enough to ask me about the F.A cup now, my answer would be “The F.A cup used to be great”….. Because it did.